The Second Amendment protects Americans’ rights to keep and bear firearms, and state laws vary widely on the restrictions and liberties facing gun owners in each state. Texas has some of the most lenient gun laws in the United States, and gun owners enjoy a wide range of freedoms concerning their Second Amendment rights. However, it is still vital for gun owners in Texas to know and understand the gun laws in the state to prevent legal complications. One common question among gun owners and potential gun buyers in Texas is whether or not it is legal to carry a loaded gun in a vehicle. The short answer is yes, it is legal to keep a firearm loaded and within reach of the driver in a vehicle under the Motorist Protection Act. Drivers must conceal handguns, but long guns like rifles and shotguns do not require concealment. Texas does not place a waiting period on buying a gun, nor does the state require firearm registration in a state database. There is also no requirement for transferring licenses of inherited or privately purchased firearms. As of January 1, 2016, open carry is legal for licensed gun owners in Texas. This means you can carry a firearm on your person in plain view, such as in a hip or thigh holster. If you obtain a Concealed Carry Permit, you may keep a concealed handgun or revolver on your person. Long guns such as shotguns and rifles do not require permits and owners may openly carry them in public so long as the owner does so in a manner that does not raise public alarm. For example, keeping the weapon slung over a shoulder is fine, but carrying it in a ready position may be a public disturbance or threat to the public. 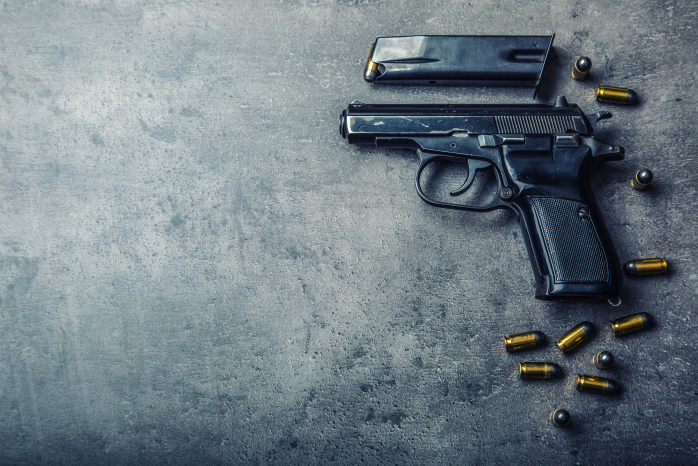 While Texas’ gun laws are quite lenient compared to most other states, there are a few details gun owners should know about carrying firearms in their vehicles. The Motorist Protection Act exists to allow vehicle owners to protect themselves from thieves, carjackers, and armed robbers while driving. Gun owners only require a valid Texas photo ID to purchase a gun in Texas, and a driver does not require a license to carry a loaded firearm in his or her vehicle. However, the driver must keep handguns either holstered on his or her person or concealed from view. As long as the driver owns the vehicle or the vehicle is under his or her control, it is legal in Texas to have a loaded firearm in the vehicle within reach. Texas law does prohibit knowingly, recklessly, or intentionally carrying a loaded firearm on a school’s or other educational institution’s vehicle. Exceptions apply to concealed carry permit holders as of August 1, 2016, and concealed carry permit holders may keep their firearms in a locked vehicle out of plain view in K-12 establishment parking lots or parking structures. Gun owners have a great deal of freedom when it comes to exercising their Second Amendment rights in Texas, but anyone who has questions about legal gun ownership and carrying practices should reach out to a licensed firearm dealer, a police station, or an experienced and aggressive Houston criminal defense attorney to verify the legality of their actions. For more questions or information about Texas gun laws or our firm, speak to David A. Breston today.